This is a neat little gift for those who like to get creative! 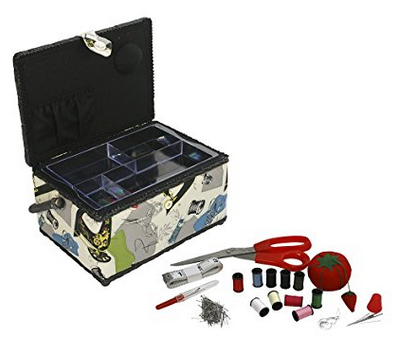 Amazon just dropped the price on Singer Vintage Sewing Basket with Sewing Kit Accessories 07281 to just $11.71 In Stock (reg. $29.99), which is the lowest price it has ever been! I love the print on the basket too. Carrying handle and plenty of space below the plastic tray for storing patterns, scraps, tools, etc.